Ranveer Singh and Deepika Padukone had a fairytale wedding in Lake Como, Italy. They got married in Villa Del Balbianello in Italy. The couple got married amidst their close family and friends. We still cannot stop admiring the couple. The couple hosted their reception ceremonies later. Deepika Padukone's sister Anisha Padukone posted a beautiful picture today. 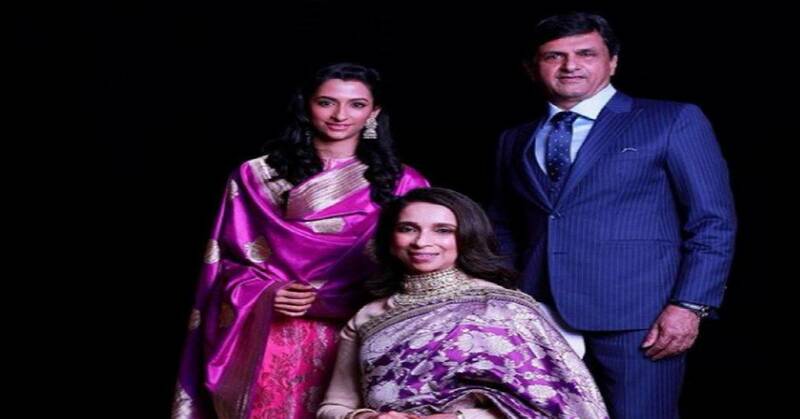 The picture has Anisha Padukone posing with her parents Prakash and Ujjwala Padukone posing for a family portrait. Anisha is wearing a dark pink ethnic outfit and Ujjwala is wearing a purple saree. Prakash Padukone is donning a navy blue suit. The picture is truly lovely. Anisha captioned the picture as, 'My Constants.' The couple hosted a star studded reception bash recently in Mumbai. The couple looked royalty personified at the ceremony. While Deepika donned a Zuhair Murad red gown and Ranveer looked hot in a black tuxedo. The couple partied hard at the occasion. We really cannot get enough of this couple.